Final Course check at 8:15 tomorrow! Good news, it is looking very positive for tomorrow. Gina and I (and Sarah!) have had a walk around the full course and there is no ice, just patches of hard packed snow and drifted snow. The hard packed snow does have some grip depending on your shoes. The drifted snow has a crispy coating. The car park has not been cleared so please use public transport or walk. If you are driving please take extreme caution and do remember there is a run every week and missing out on this week is not a life or death situation. The only hazard is a fallen tree blocking the path down from the canal over the railway but is easily passable. But it is not any where near the course. Again we must reiterate that you need to dress appropriately for during and after and wear shoes that you are confident running in snow. Please be mindful that young and older people suffer more in these conditions and above all we all want to have fun, but not get injured or ill.
Our parkrun ambassador (Adrian Sell) has asked us to remind everyone to take note of any police or local authority warnings about essential travel only. PS the mud is frozen and DFYB!!! John Bates is organising a Marple parkrunners Christmas Meal (well, ok - it is after Christmas, but hey - it will have been a month and we all need something to look forward to). It will be at Marple Spice on Saturday 28th January. The cost is £15 and must be give to John Bates (in person or electronically) to reserve your place. You can find him on Facebook, or in The Railway tonight before the Marple Runners running session or email marplehelpers@parkrun.com and we will put you in touch. It will be on a first come, first served basis and there are some places left. Some or all of the Run Director team will be there. Sweatshop has been fantastic for parkrun, awarding a pair of running shoes every month for every parkrun for the last 11 years. Considering there are 400+ UK events at the moment that is some commitment. This is the 41st prize that we have had the pleasure and honour to award. The previous 40 recipients have been runners and volunteers that have typified what we believe it the amazing parkrun spirit that is so important to us. We would have loved to have given the prize to many more deserving runners and volunteers out there. The decision for the last prize was very difficult. There are many many of you that we would have liked to give it to and it is hard to single anyone out above the others. When my team of Run Directors suggested Catherine I was in total agreement. Catherine has been an ever present. She introduced me to parkrun at Bramhall back in 2008. For a few years we made our way over there many times. In 2012, Catherine gave me a nudge and suggested we look at setting one up closer to home. I looked around, found Brabyns Park, made a couple of calls and here we are. Catherine was by my side all the way, designing and measuring the course, learning the roles at Bramhall, helping with the test event and everything that took to bring it here and is one of the longest serving Run Directors. So, it is with great pleasure and I know a massive surprise to her (we managed to avoid choosing a recipient in the last couple of weeks) that we are awarding Catherine this awesome prize. Emma has been running with us for exactly a year. 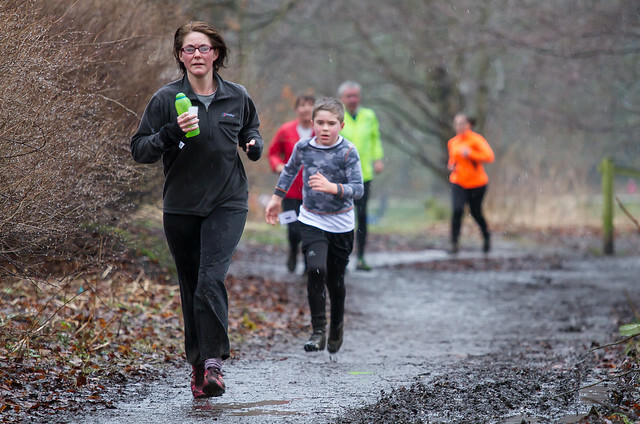 Since then she has been an ever present parkrunner running 43 at Marple and others at Woodbank, Heaton Park, Wilmslow, Lyme Park and back home in Newcastle. She has really taken to her running with a passion. In that year she has gone from over 29 minutes to a PB of 27.20. She has taken part in races, increasing in mileage and just this last weekend she finished her first Marathon at Chester. She has also volunteered a few times as tail runner. And to top it off she celebrates her 50th run with us next Saturday. What an incredible year for Emma! 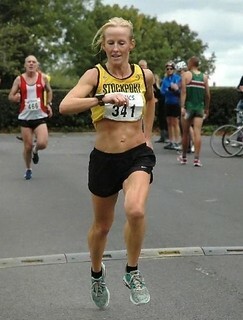 Congratulations Emma and thanks to www.sweatshop.co.uk for this amazing prize of a pair of running shoes. James is a young lad who is very much under the radar. But we have noticed his times over the last three years. 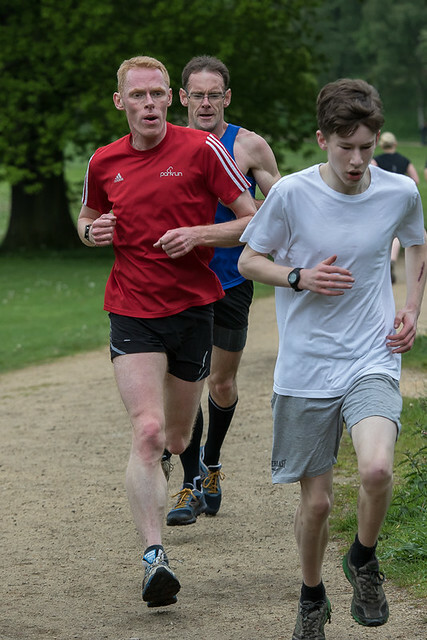 He ran his last run in August in the 11-14 category and has been running at Marple parkrun for three years. He first ran exactly three years ago today (15/09/12) in a time of over 26 minutes. Each year he has steadily got quicker, but the last couple of months have seen a dramatic improvement and his last run in August saw him get a PB of 19.16 which is incredible for a 14 year old. It is clear he has some talent and we are excited that Marple parkrun has given him this opportunity to enjoy his running. Congratulations James and thanks to www.sweatshop.co.uk for this amazing prize of a pair of running shoes. Most of you will know Sally as one of our regular timekeepers. She has volunteered a massive 57 times with the vast majority of those in the role of timekeeper. 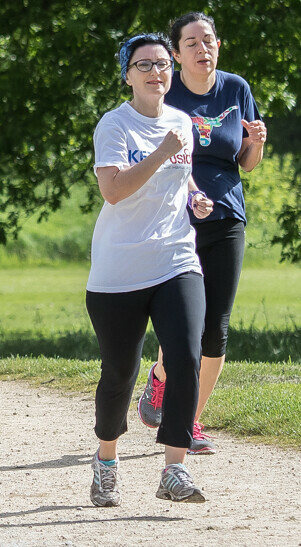 Sally has recently started running after getting over a long term injury and it is great to see her enjoying that side of things. She is really getting back into with consistent times shaving off her PB gradually. She had a PB on Saturday, which was also her birthday, so it is a treble celebration with this prize (she was informed of her prize on her birthday). Congratulations Sally and thanks to www.sweatshop.co.uk for this amazing prize of a pair of running shoes. 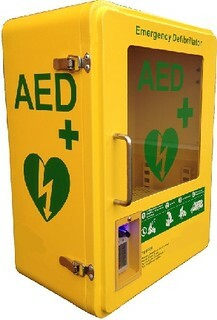 We've decided to raise funding to buy a defibrillator (AED). This automated life saving device can help when the heart has gone into cardiac arrest. We are going to raise funds in conjunction with the Marple junior event. We are planning to gift it to Friends of Brabyns Park and make it available to all park users if the council agree to a cabinet on the recreational building. 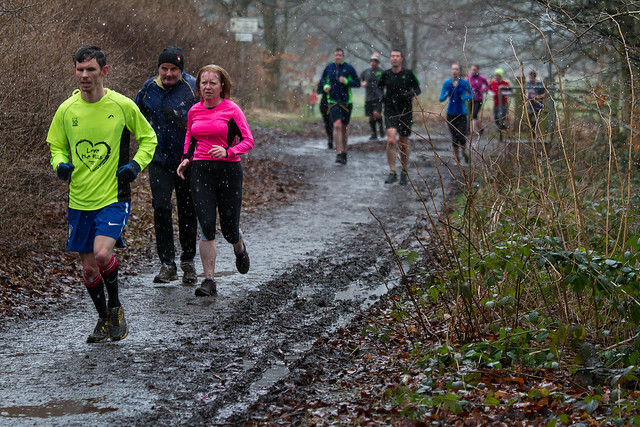 Statistics show that the vast majority of cardiac events at parkruns have happened on or close to the start and finish. The recreational building is equidistant from the starts of both the 5k parkrun and the junior parkrun. In addition to that, it is close to football and lacrosse pitches and is a known location in the park. Using a modern defibrillator is very simple. Instructions are actually read out to you and you cannot do anyone any harm. They detect the status of the heart and will only administer a shock if the heart is not operating normally. We will also provide free CPR and defibrillator training to anyone that would like it. So that we can separate these donations from the general parkrun contributions please use the "special instructions to seller" option on the PayPal form and add the message "Marple AED fund". Note, that 15% of the donated amount will go into the New Event fund. We will also apply to The Area Committee (Local Councillors) to make up any shortfall. We are hopeful we will meet the total cost this way. Note that the Donations History page is only updated every few days. Gavin has run 89 times and of those 82 at Marple. He first started running with us back at our very first event in 2012 in about 26 minutes and had recently achieved a PB of 22:29. Alan has also volunteered a few times performing marshalling, scanning and tail running. Congratulations Gavin and thanks to www.sweatshop.co.uk for this amazing prize of a pair of running shoes. Alan has run 101 times all at Marple. He first started running with us back in October 2012 and completed his 100th run just last month. He first started running in a time of just under 28 minutes and now regularly finishes in under 23 minutes. Alan has also volunteered 10 times performing a variety of roles. Congratulations Alan and thanks to www.sweatshop.co.uk for this amazing prize of a pair of running shoes. 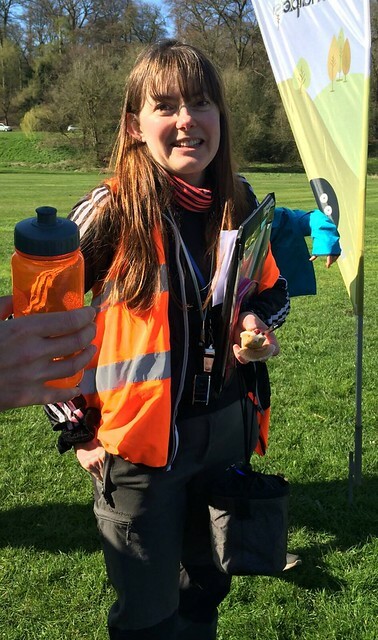 Congratulations to Emma from the event team at Marple parkrun. Emma has been running with us for 2 and a half years and has completed 73 runs and has improved her time with a recent PB. Thanks to Sweatshop for this awesome prize of a pair of running shoes.